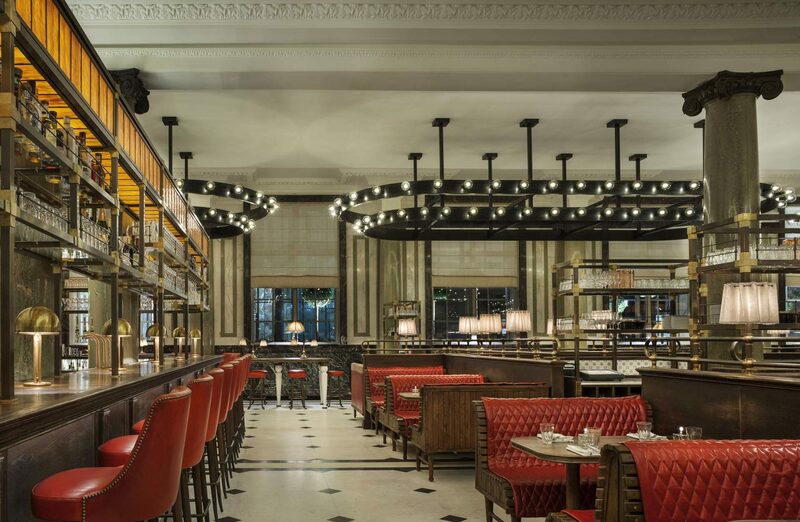 ​Holborn Dining Room at Rosewood London offers a menu of British classics with a twist. The lighting we manufactured complements this philosophy and comprises six eye catching blackened steel oval chandeliers, some 7m long. Their simple lines are not only a discreet hiding place for the emergency lighting that has been fitted to the light fittings’ cross section bars, they are also housing 500 120mm LED globe lamps custom made to meet the exacting aesthetic and energy usage brief from the restaurant’s designers Martin Brudnizki Design Studio. 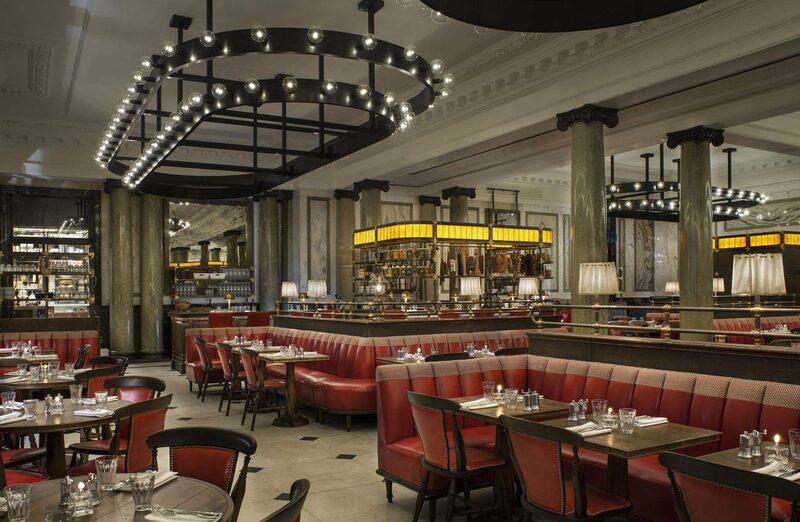 Due to the size of the chandeliers they each have a sub frame adding to the complexity of the manufacturing process which required mixed construction methods incorporating both laser cutting and making sections by hand. Despite a global search we could not source LED lamps that met the specified criteria for quality, light colour and visual appearance that was required. So we commissioned bespoke lamps were commissioned that achieved all of MBDS’ and Rosewood London’s requirements.